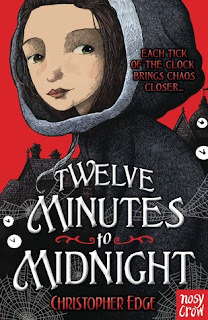 Twelve minutes to midnight was an enjoyable read set in Victorian England with a lead character who I adored. Penelope is an orphan living in Victorian London. She took over the running of the Penny Dreadful after the death of her father and is its main editor and contributor (under a pen name) and is fast becoming London's most popular author with her frightening tales. In order not to be found out she hires an actor to play her pen name and keep up appearances with an ever increasingly nosy press who want to know everything about the new up and coming author. The main story sets off when a letter is received from Bedlamasking for help in solving a problem they have. 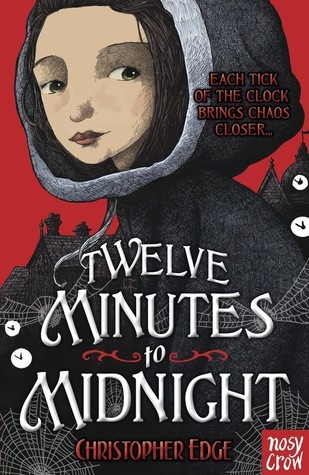 Every night at twelve minutes to midnight all the patients start writing utter gibberish on the walls which thoroughly confuses everyone and they want to find out why it is happening. I won't tell you what the gibberish consists of but to say it is very clever in what it is made up of. I loved Penelope as a character. She is clever and feisty and not at all afraid of getting involved like her male counterparts and gets frustrated when society holds her back. She is very much like a young Sally Lockhart and I loved following her story. The main story is really interesting. I loved how all the big names from Victorian literary society popped up and the pace of the story once it kicks off is really fast meaning you don't have a split second to get bored. Definitely a book I would recommend. I am already excited about getting the next instalment. Great review - I need to get a copy of this book! The Cover is so lovely. This book looks beautiful and intriguing - I WANT!